This month, Jude wants us to have fun with our benches. 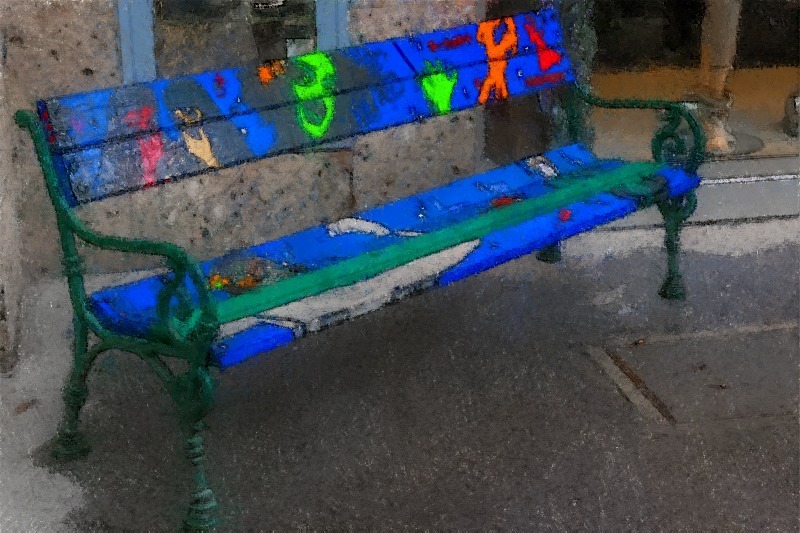 This bright bench in Salzburg was fun already, but to further emphasise the colours I desaturated the background in Lightroom, then imported into FotoSketcher, where I used the vivify preset and then converted to an oil pastel sketch. Very clever! I think we need more brightly coloured benches like that, dotted about the place. A real work of art both the bench and what you have done with it. Raised a smile, Debs 🙂 I wouldn’t sit on that one in case it came off all over my clothes. Ha! I didn’t either – it was still wet from all the rain that day! Very good! And I like that you have explained your technique. A nice chalky effect. It’s a fun editing package.